ExtraDigital planned, executed and monitored the internet marketing activities for a major charity fulfilment provider. 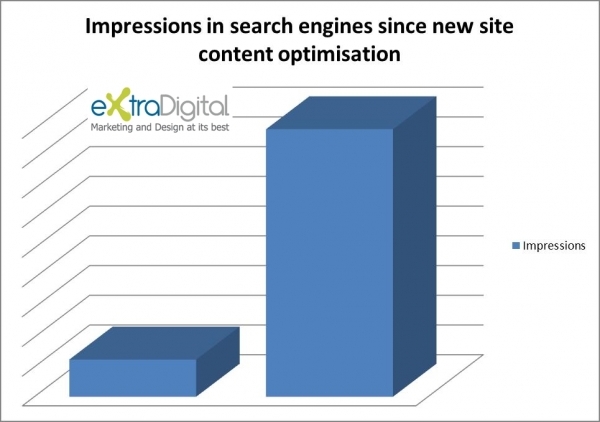 Late in 2012, the site content was changed completely and so the site needed complete re-optimisation to bring relevant traffic to the website, to increase leads gained through organic traffic. We re-analysed the current content on site and carried out extensive keyword research and competitor analysis to identify the key areas that the site needed to rank for. Using our experience of onsite optimisation, we began making the changes necessary to realign the content to target a range of carefully selected and researched keywords. The onsite and offsite SEO work improved content considerably and over time, there was a gradual increase in not only the volume of traffic from organic traffic, but the frequency of impressions (or appearances) in search engines. The graph below shows organic search traffic growth over time (exact figures are not shown to preserve client data confidentiality). 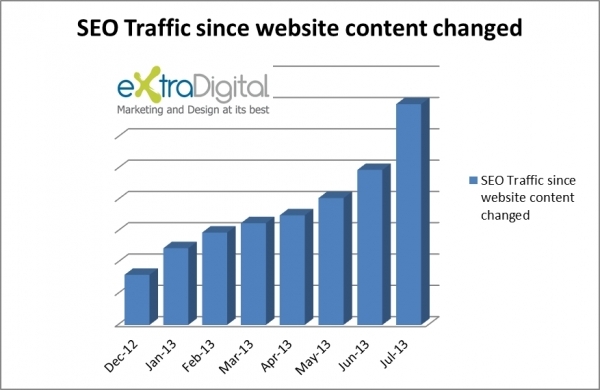 The site currently maintains levels of over 168% more relevant natural search traffic than it did in December 2012. The graph below compares the frequency of the site appearing in search engines at the start of the project compared to present figures (exact figures are not shown to preserve client data confidentiality). The site is averaging more than 7 times the amount of impressions since the new optimisation work began. If you are a B2B organisation looking to increase the volume of relevant traffic and leads for your businesses, get in touch with ExtraDigital today to talk about your internet marketing needs and requirements. Call us today on +44 (0) 1227 68 68 98 or fill out a contact form with your needs and we will get straight back to you.